Eurocom has launched the Uno 4, a 21.5” All in One Multi Touch computer with a built in battery, Trusted Platform Module, high efficiency Intel Core i7 mobile processors, VESA mount and a plethora of connectivity options. 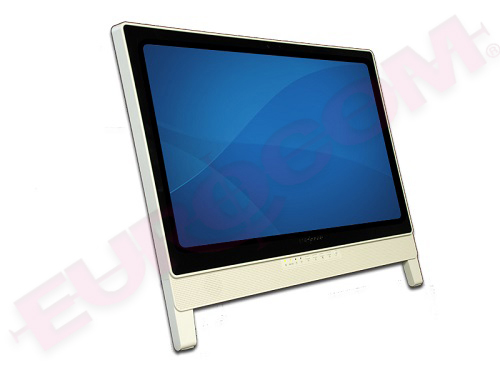 The EUROCOM Uno 4 is a highly flexible All in One touchscreen computer that is designed for corporate, government, education and medical/dental professionals. The EUROCOM Uno 4 is built with heavy duty materials yet maintains a high degree of elegance. By combining a robust exterior chassis with a high degree of customization options, an upgradable design and with high quality current generation components, the Uno 4 can accommodate small and medium businesses. The EUROCOM Uno 4 boasts an integrated battery pack which provides up to 6 hours of backup power in case of electrical failure and allows for easy relocation without shutting down. With an Intel HM86 chipset the EUROCOM Uno 4 supports Intel Haswell, i7 4xxx series processors including Intel Core i7-4910MQ running at up to 2.90 GHz with 8 MB cache. The EUROCOM Uno 4 supports 16 GB DDR3-1600 memory via two SODIMM slots and three storage drives for up to 5 TB of storage. Eurocom has equipped the Uno 4 with a Trusted Platform Module for enhanced security via data encryption. An ExpressCard 54 slot in the EUROCOM Uno 4 allows for peripheral devices to be connected, increasing functionality. The 21.5” Uno 4 is optimized for Windows 8 Operating System, in part thanks to the optional 21.5” FHD Multi Touch display. The Eco-Friendly 90 Watts, 7.5kg (16.5lbs) system is east to move around allowing companies to improve overall productivity, reduce downtime caused by power interruptions and greatly reduce energy costs. Removing the base reveals a VESA mount, the Uno 4 can be mounted on tables, walls, desks or medical carts for ultimate convenience, deploy-ability and ease of use. The flexible design of the Uno 4 design provides the users with a plethora of deployment options. With the ability to utilize the kickstand or a VESA mount, users will be able to fine tune the position of the computer to their exact needs. The Uno 4 can be connected to peripherals in a multitude of ways. From current generation ports like USB 3.0 to legacy ports such as RS232 or PS/2 the Uno 4 has you, or your clients, covered. Did you know that many POS systems and industrial control equipment interfaces with these legacy ports? The Uno 4 is able to connect directly to this type of equipment rather than having to worry about converters or adapters. The Uno 4 uses less than half of the power needed to run a traditional desktop system. Power consumption is much lower at 90 w. Less power consumption means less heat production which not only extends the life of the computer.